This fun and stripey piece is perfect to add some colour to a plain white t-shirt or just to wear as your favourite every day necklace. 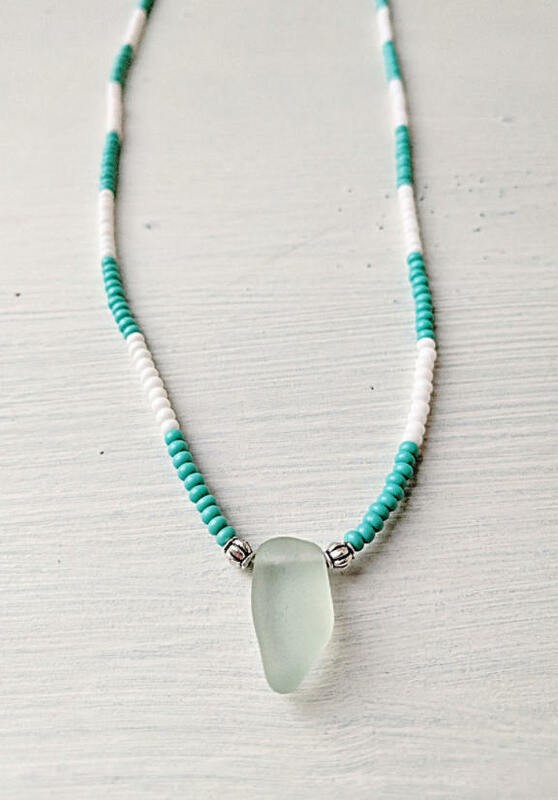 Complete with an aqua sea glass pendant, to make any beach-hugger happy! 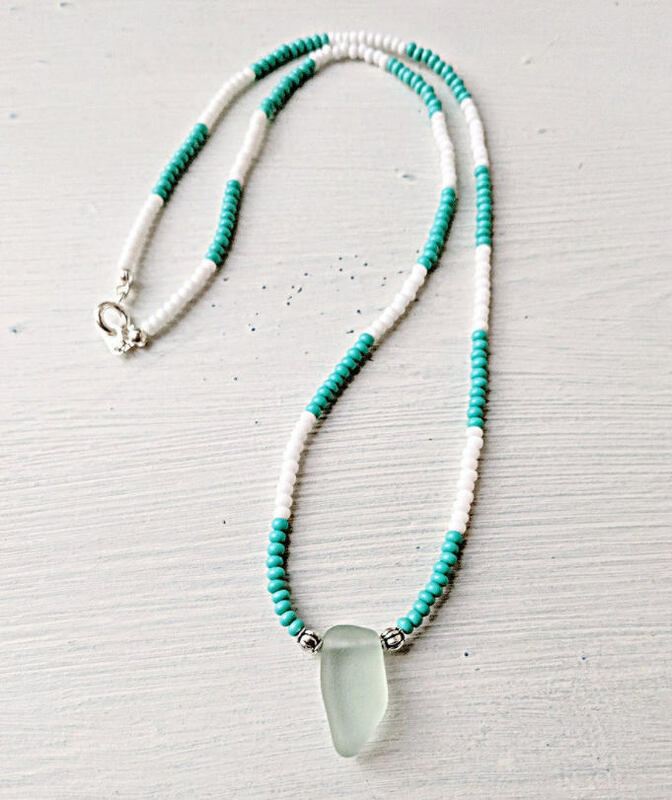 I could never make the same piece of jewellery twice as each piece of sea glass is unique, tumbled around by the ocean until it is the perfect smoothness for using in my designs. Comes with the Washed-Up ethos tag and wrapped in tissue, but if your looking for the special touch, you can add gift-wrapping to your order for £1.50 extra (the easiest way to do this is to select it from my store page and add it to your order). For more products, feel free to browse through my little shop - or visit my website: washed-up.com! (don't add the exclamation mark - that's just me getting excited).